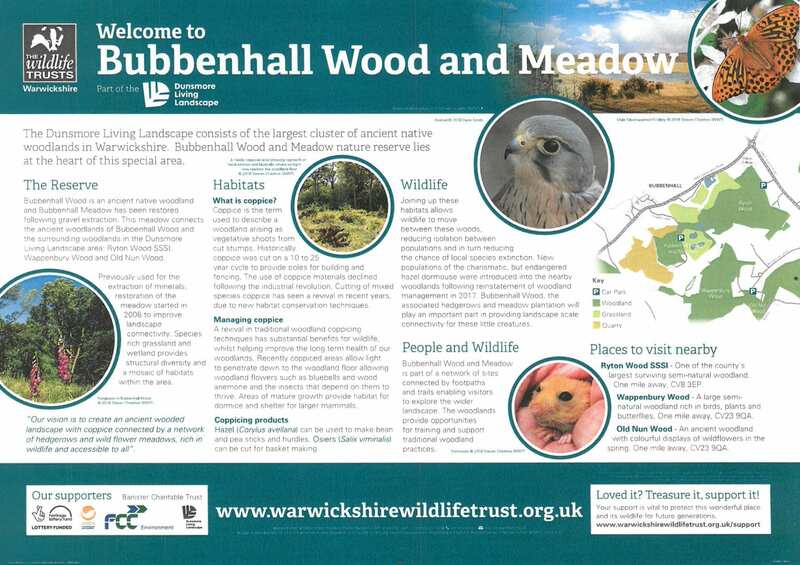 These boards are erected at the Warwickshire Wildlife Trust’s reserves at Bubbenhall Woodland and Meadow. The geological content was produced by WGCG. The Meadow is restored land on the site of a sand and gravel quarry, which is a Local Geological Site – Wood Farm Quarry LGS 90. Click here to download board as pdf.